Bits out the Back: Lemongrass & Ginger Veggies. The fresh flavours of Spring. Lemongrass & Ginger Veggies. The fresh flavours of Spring. 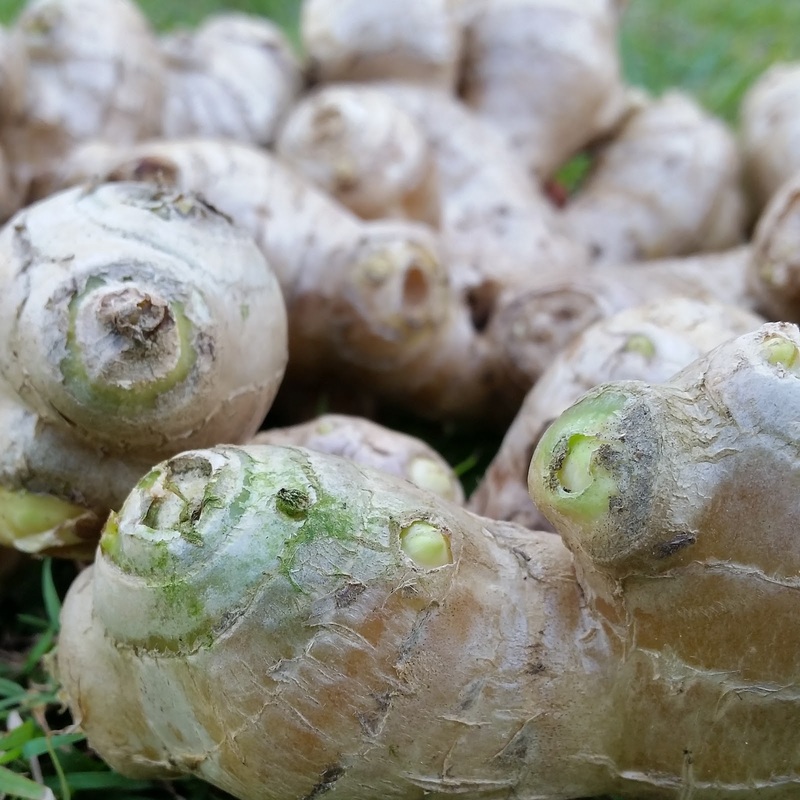 Finally got around to harvest the ginger from the aquaponics yesterday. It smelt so sweet and fragrant I had to use some in dinner last night so made up a quick veggie dish on the spot. Posted a picture of the meal to our Facebook page where a friend ask for the recipe (Cheers Sarah) so thought I'd share it here too. The dish was made using all home grown ingredients except for the oil, garlic, sugar and mountain sauce. 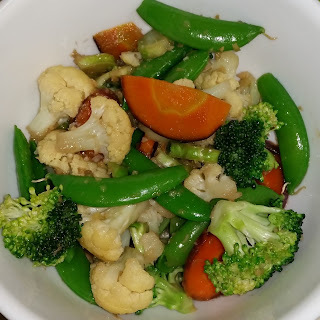 The rest of the ingredients included some freshly picked snap peas from the aquaponics as well as a carrot and a lemongrass stalk from wicking barrels. Some leftover cauliflower and broccoli harvested on the weekend were also used. Some of the measurements and cooking times are just guesstimates as I tend to add things as I go but am sure they're fairly close to the mark ;-) It was enough to give us 3 adult and one child serves. Toss veggies through the sauce in the base of the wok and serve. The fresh flavours of the lemongrass and ginger together make a fantastic combination. Must say that I impressed myself with this one and will be making it again very soon. The one stand out flavour that was missing for me was Thai basil. The girls have suggested that I add some finely sliced beef and chopped green onion stems to the next batch too. Would love to know what you think if you have a crack at making this yourself. Cheers and have a great one.